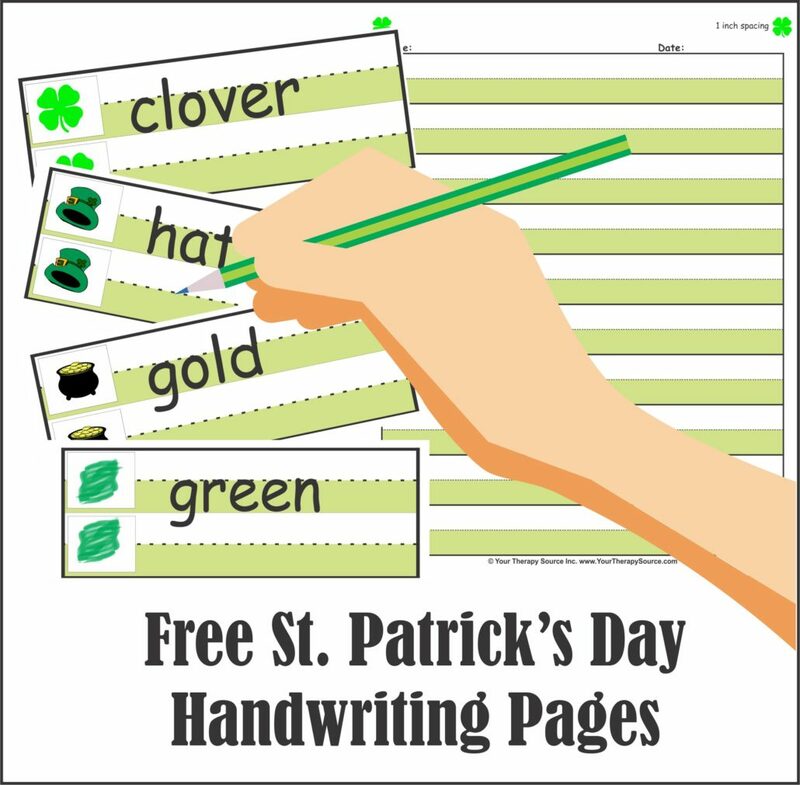 Need free, green, festive St. Patrick’s Day handwriting pages? Here are two sample pages from the St. Patrick’s Day Handwriting Packet. On page one, you can laminate and cut apart the words cards for a quick, handwriting warm up. Page two is a handwriting template with 1 inch lines and a green highlighted bottom line. 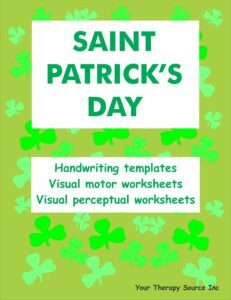 St Patrick’s Day Handwriting Activities is a great collection of handwriting templates, visual motor worksheets, visual closure activities and visual perceptual activities. The handwriting templates are spaced 1″, 1 1/2″ and 2 inches apart with an added color blocks to mark writing spaces. FIND OUT MORE.